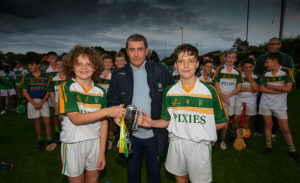 Castleblayney’s U13 hurlers recovered from a very slow start to eventually see off Monaghan Harps in an entertaining U13 Hurling Championship Final in Cremartin on Monday evening. Played in dry conditions, the Blayney side were five points in arrears at half time, before coming out on top after two periods of extra time. The Harps were the far superior side in the first half, and they were spearheaded by midfielder Sean Callan. 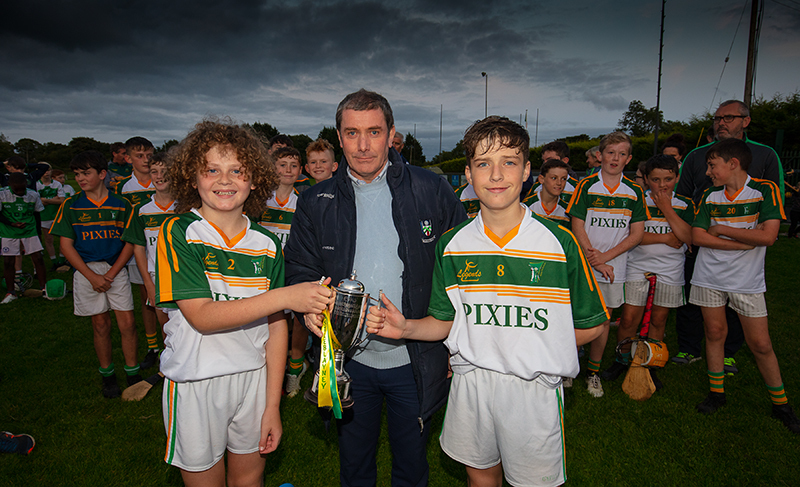 He scored the first point of the match through a magnificent 65 in the 1st minute, before Odhran Connolly doubled his team’s tally. Blayney didn’t get on the board until the 6th minute, when Canice Murphy slotted over a free. This was to be their only score of the half however. The Harps controlled the rest of the first half, with two pointed frees and another from play by Sean Callan and a fine effort by Cian Bradley sandwiched between. 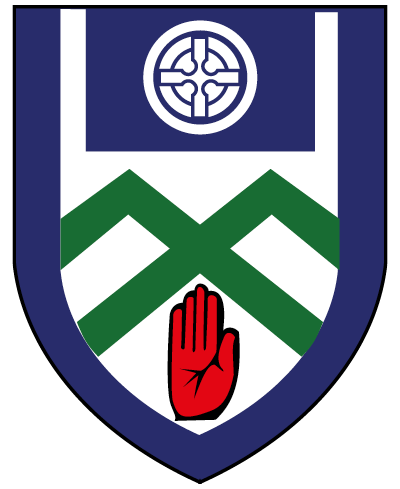 The Harps led by 0-6 to 0-1 at the interval. In the second half, a completely different Castleblayney team emerged from the dressing room, possibly having their shirts signed by Pope Francis! Nathan McArdle started like a hurricane for the Faughs, scoring two goals and a point in the opening two minutes of the second period, to put Blayney into the lead for the first time. 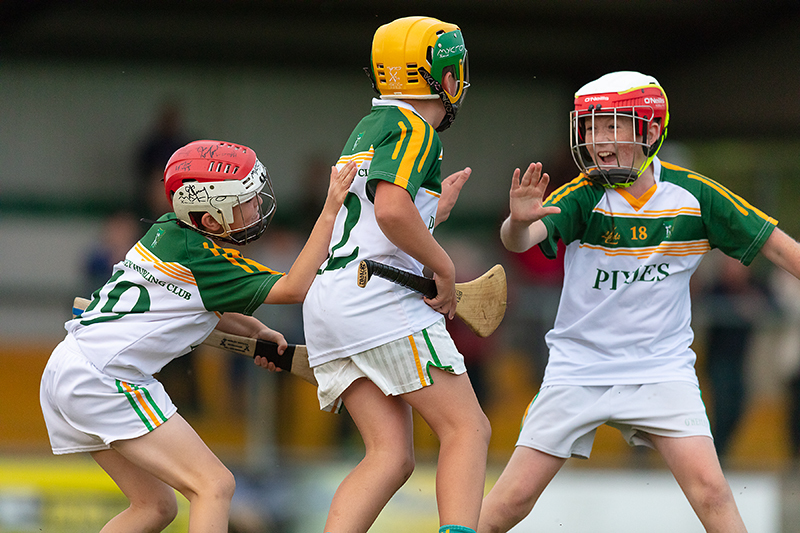 Five minutes later, Timothy McArdle soloed the sliotar on the stick down the wing, before he bore down on goal and smashed the ball to the net for Blayney’s third major. They now lead 3-2 to 0-6. Despite this huge setback, the Harps didn’t cave in, and a brilliant goal from a Sean Callan free reduced their arrears to 2 points with 11 minutes remaining. Centre-back Ethan Ballintin further reduced the margin to the minimum, five minutes from time. Then, with virtually the last puck of normal time, Ballintin slotted over his second to force the game to extra time. The first period of extra time was scrappy, although Canice Murphy did find the range for Blayney, to leave them a point in front at the interval. At the start of the second period though, Blayney made the decisive move. First, Nathan McArdle split the posts with a free to increase the margin to two points. Timothy Mc Ardle then found the range with a neat point to make the score 3-5 to 1-8 to the south Monaghan side with five minutes left. A minute later, and Timothy McArdle delivered the final nail in the coffin when he bundled home his second goal from close range and Blayney’s fourth, to leave the scores 4-5 to 1-8. The Harps tried valiantly to stay in the match, but all they could muster was a third pointed free by Sean Callan. The final whistle was soon blown, with Castleblayney the winners by five points. 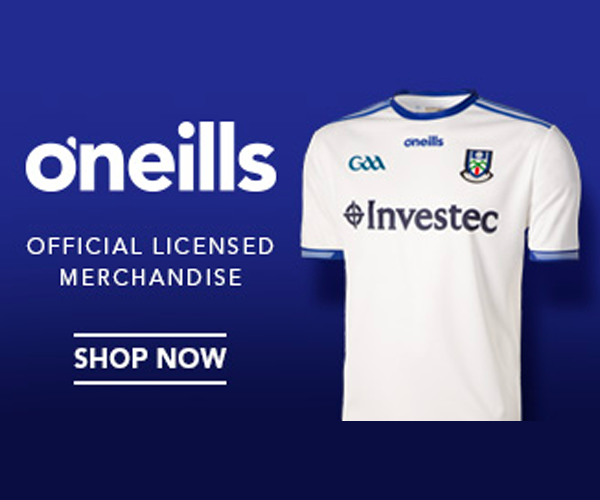 CASTLEBLAYNEY: Noah Connolly, Ben McDonnell, Tristan Duffy, Conor Burns, Jake McDonnell, Brion Sherry, Daniel Kerr, Michael Meegan, Nathan McArdle 2-2 (1f), Canice Murphy 0-2 (1f), Timothy McArdle 2-1, Coehn McCabe. Subs: James Holden for Timothy McArdle, David Lambe for Ben McDonnell, Alfie Hughes for Coehn McCabe. 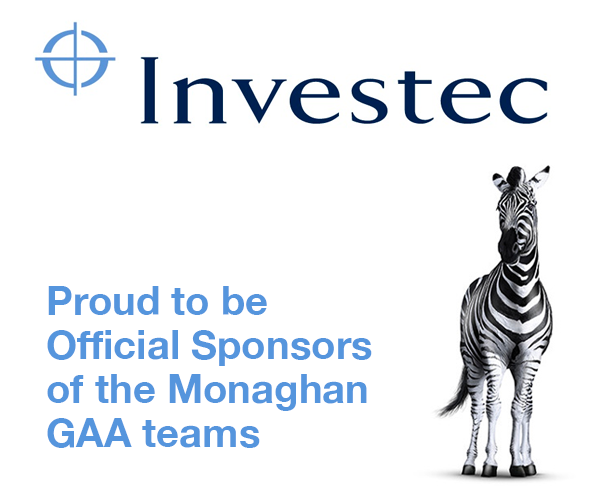 MONAGHAN HARPS: Oisin McPhillips, Oisin Connolly, Rylan McCooey, Enda Brady, Cian Bradley 0-1, Ethan Ballantine 0-2, Oisin Murray, Sean Callan 1-5 (3f, goal from free, 1 “65”), Nicholas Sherlock, James Brady, Odhran Connolly 0-1.